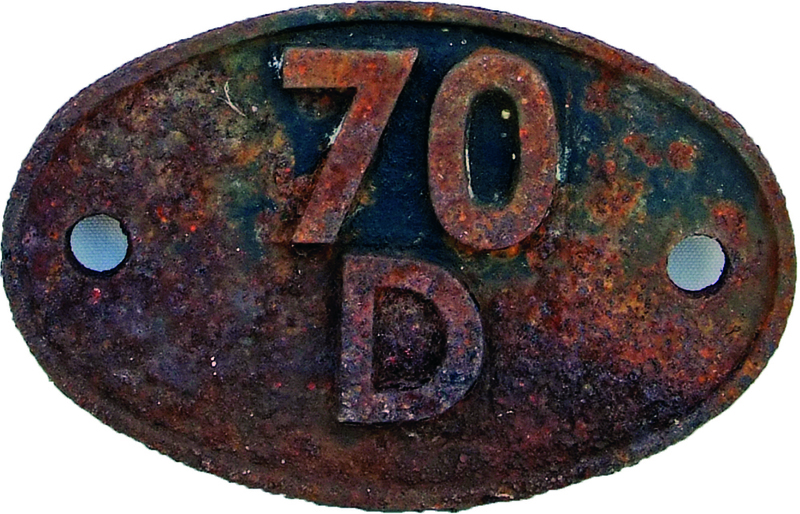 Shedplate 70d, Basingstoke And Eastleigh. Shedplate 70D, Basingstoke and Eastleigh. Unrestored and here is an ex loco SR shedplate that doesn't have the Eastleigh Triangle.